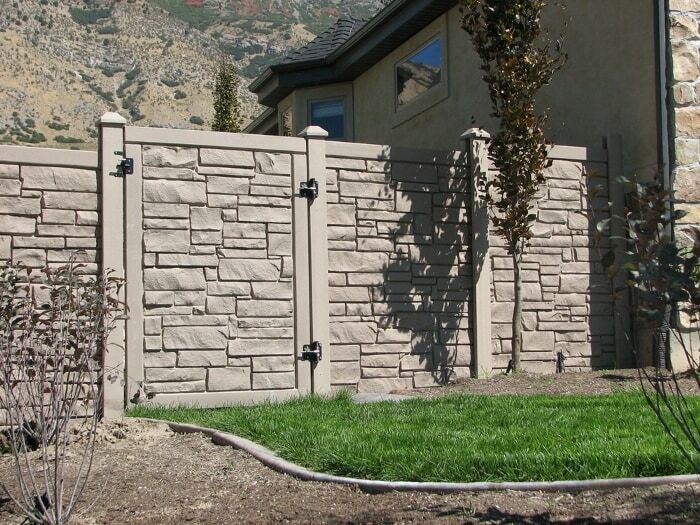 Simulated Stone Privacy Fence SIMULATED STONE GATE 6' Tall x 4' Wide - Privacy Fence Gate Simulated Stone Complete Gate - Includes All Hardware / Desert Granite Color / 70" x 2" x 48"
Simulated Stone Complete Gate - Includes All Hardware / Desert Granite Color / 70" x 2" x 48"
Easy To Install! Includes Hinges, Latch and alll Hardware. Shipped Pre-Built. Order Posts Seperately. Simply Install Posts in Ground and Attach Gate to the Posts. 24/7 Installation Support! Patented construction: Made with proprietary Linear Low Density Polyethylene Plastic (LLDPE) and reinforced with galvanized steel. Posts Are Foam Filled With Steel.